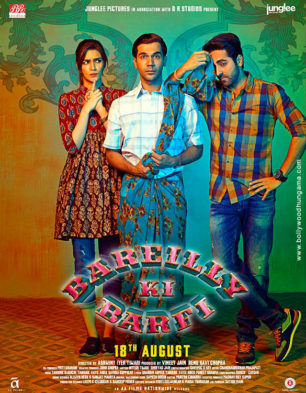 Bareilly Ki Barfi is about a printing press owner who devises a unique plan to woo the girl he loves but the idea backfires. 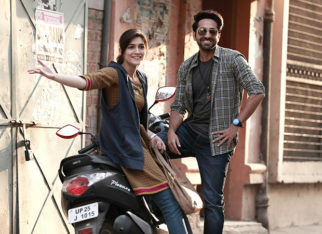 Chirag Dubey (Ayushmann Khurrana) runs a printing press in Bareilly, Uttar Pradesh. After being heartbroken, he writes a book called ‘Bareilly Ki Barfi’ on the girl he was in love with. 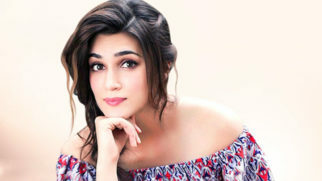 Fearing that she’ll be slammed if he writes the book in his own name, he puts the name of Pritam Vidrohi (Rajkummar Rao), his shy, soft-spoken friend, as the book’s author. 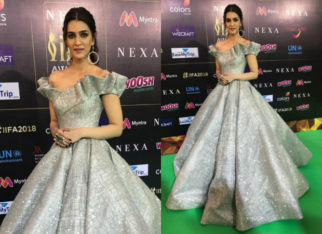 The book fails big time but five years later, Bitti (Kriti Sanon), the coolest girl in town, buys it one day from the railway station, when she was about to run away after her mother Sheela’s (Seema Pahwa) constant rants over her marriage. 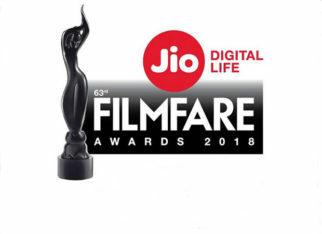 In the train, Bitti reads ‘Bareilly Ki Barfi’ and is stunned to see that the girl described in the novel is very much like her – free spirited, break dance lover, smoker, film buff and progressive. She immediately returns back to Bareilly and meets Chirag, since he had printed the book, and asks him for Pritam’s contact details, since she is impressed by the book. 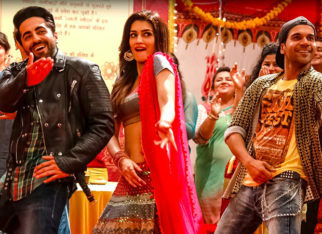 Chirag slowly falls for Bitti but is not able to tell her that it’s him and not Pritam who wrote ‘Bareilly Ki Barfi’. Chirag then devises a plan – he tells Pritam to have a makeover, meet Bitti, break her heart and run off. At this point, Chirag would take over and hopefully woo Bitti successfully. Sadly for Chirag, Bitti slowly starts falling for Pritam. How Chirag then attempts to ensure that doesn’t happen forms the rest of the story. Character, Intelligence, Style – Ayushmann Khurrana is the perfect gentleman for Man’s World!